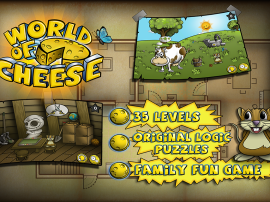 Welcome to World of Cheese – easy to control puzzle game behind the adventures of little brave mouse. Let us introduce you Mr. Mousey, a hero from huge mice family who is trying to survive in a bad times of starvation. 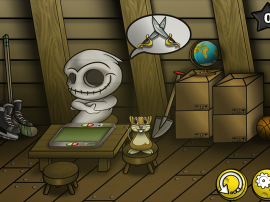 Your quest is simple: use your logical thinking in various situations and contexts to solve all puzzles. But always think twice before each tap. Minimum touches on screen mean the highest position among Top Players chart. 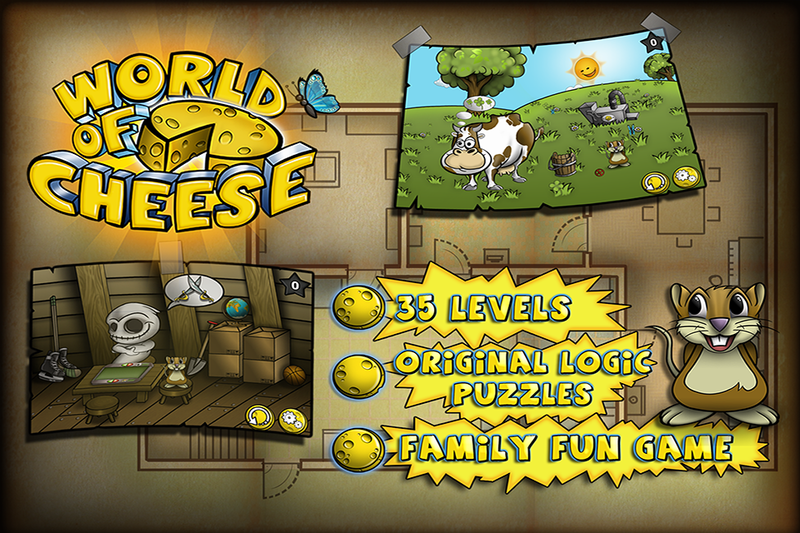 Lead Mr. Mousey through 35 levels and find all pieces of cheese hidden in various places of mysterious house. 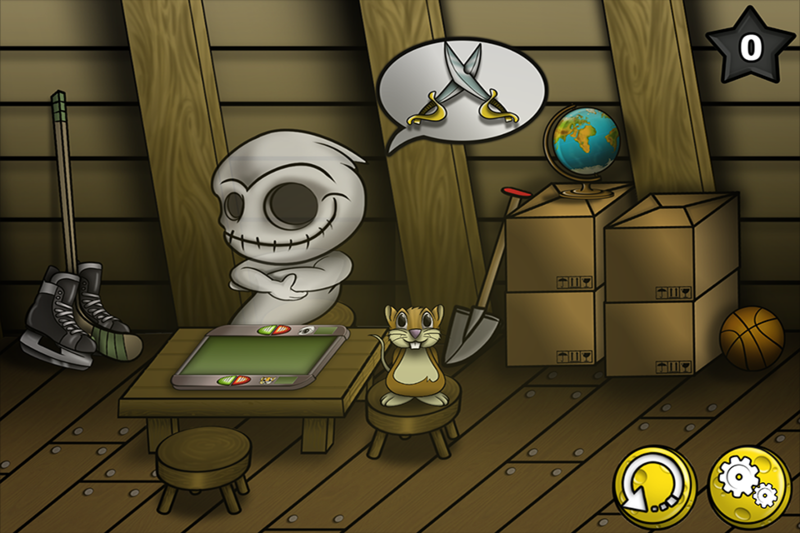 Solving each puzzle leads you and Mr. Mousey to longed yellow titbit. Explore dark corners of the attic, construct your own robot, fix a car in garage or repair a fence on courtyard. When you are tired relax in living room or spent your time in playroom packing a gifts for whole family. There is definitely no boredom in a house with 7 different stages. But do not forget, cheese is your goal! 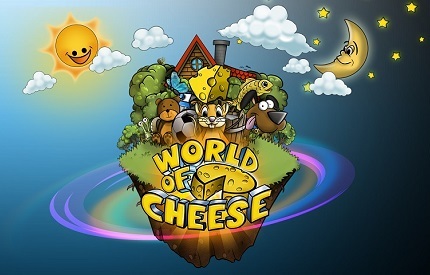 World of Cheese is a unique game which can help teach a little player basics of geography or math. Mr. Mousey can show how to play chess, why to separate garbage, how does engine work and much more. 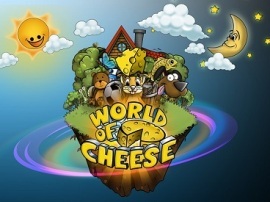 Everything has reason in World of Cheese, just try out! Coming up on your iOS and Android devices. 2019 © Alda Games, s.r.o.